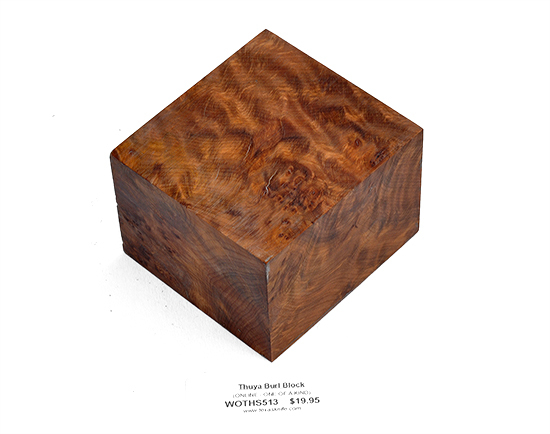 Thuya is a reddish brown wood from the Atlas Mountain region of the Morocco, noted for its high density of burl eyes and distinct cedar-like smell. Use sharp tools when cutting to avoid tearout, although this wood sands and finishes very well. Dimensions: 2-7/8" x 2-5/8" x 2"